There's Still Time to Enter the 2011 ARRL Photo Contest! At least two tornadoes touched down in Central Massachusetts late in the afternoon on Wednesday, June 1. 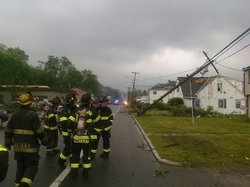 The storm pulverized or sheared off the tops of roofs on Main Street in Springfield, a city of more than 150,000, located about 90 miles west of Boston. A debris-filled funnel swept into downtown from the west, then swirled across the Connecticut River, which runs through the city. Like their counterparts in Alabama and Missouri who responded when storms hit those regions, hams in Western Massachusetts volunteered their time and radios to the American Red Cross and the National Weather Service. Read more here. 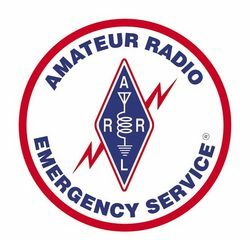 Due to the end of the "search and recovery" mode after the EF5 tornado that struck Joplin, Missouri on Sunday, May 22, ARRL Missouri Section Emergency Coordinator Ken Baremore, W0KRB, notified area hams that all Amateur Radio communications from the Emergency Operations Centers to the field operations have been stood down as of May 30. According to Baremore, officials are now focusing on debris and potential body part removal. "We do have some ARES® operators who are scheduled, and we will continue to work with SATERN through the rest of this week," he said. "I want to thank all of you who volunteered and came to Joplin to help with communications, as well as those of you who are still contacting me to see if additional help is needed." Read more here. Representatives from CRAC and CAMSAT visited ARRL Headquarters after attending the 2011 Dayton Hamvention®. Where is Amateur Radio growing the fastest? The answer may surprise you -- it's China. The enthusiasm of Chinese radio amateurs was very much in evidence at ARRL Headquarters on Tuesday, May 24, when a dozen amateurs from Beijing and Shanghai toured ARRL Headquarters. The group -- which included representatives of Chinese AMSAT -- had attended the Dayton Hamvention® the previous weekend, where a booth for the Radio Association of China and its subsidiary, the Chinese Radio Amateur Club (CRAC, pronounced SEE-rack), was a part of ARRL EXPO. ARRL Chief Executive Officer David Sumner, K1ZZ, met with Zhu San Bao, BY1CRA, Executive Vice Chairman of The Radio Association of China, to hear about the evolution of Amateur Radio in China and to explain ARRL operations in more detail. China is now represented in the International Amateur Radio Union by the Chinese Radio Sports Association (CRSA). CRAC has been established to cover all aspects of Amateur Radio and is assuming some of the functions of the CRSA. The Chinese guests capped a busy period of international activity at ARRL HQ that began on Monday, May 16, with a visit by Gopal Madhavan, VU2GMN, who is a Director of IARU Region 3, as well as President of the Amateur Radio Society of India (ARSI). The following day, two officers of the Viet Nam Amateur Radio Club (VARC) -- Chairman Nguyen Minh Duc, XV2REH, and President Nguyen Bac Ai, XV2A -- arrived to tour ARRL Headquarters and to discuss their plans for hosting next year's IARU Region 3 Conference. All of these visitors included Dayton in their itineraries. While the Hamvention always attracts many foreign visitors, the theme of this year's event -- Global Friendship -- made their presence especially appropriate. To mark the theme, the ARRL EXPO area included exhibits representing, in addition to China and the IARU itself, four IARU Member-Societies: Deutscher Amateur Radio Club (Germany), Japan Amateur Radio League, Qatar Amateur Radio Society and Radio Society of Great Britain. The Radio Amateurs of Canada booth was nearby, rounding out our "global village." 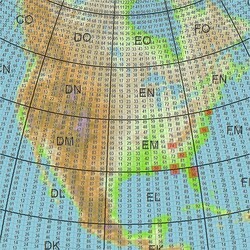 Lots of RF will be generated on 6 meters and up the weekend of June 11-12 during the 2011 ARRL June VHF QSO Party. While many amateurs think of the VHF+ bands as a "local" band for public service, emergency communications or even a bit of fun on FM repeaters, weak-signal VHF+ enthusiasts know better. Even with a modest station, it's possible to work hundreds, or even thousands of miles on the VHF bands during a good opening. ARRL Contest Branch Manager Sean Kutzko, KX9X, is a big VHF enthusiast. "In more than 25 years of Amateur Radio, weak-signal work on 6 and 2 meters remains the most fun and intriguing activity I do," he said. "There is nothing like a good VHF opening. With its fun and interesting propagation characteristics like sporadic-E, tropospheric ducting, aurora and even meteor scatter and moonbounce, VHF offers QSO opportunities that HF can never satisfy." Read more here. The Annual USA Championships of Amateur Radio Direction Finding (ARDF) will take place in forests near Albuquerque, New Mexico from September 14-18, 2011. USA's national championships are being combined with the IARU Region 2 Championships. According to ARRL ARDF Coordinator Joe Moell, K0OV, they are open to anyone of any age who can safely navigate in the woods with handheld radio gear for several kilometers. Medals will be awarded for the top three finishers on each band in 10 age categories, six for males and four for females. A two day training camp will precede the formal competitions. 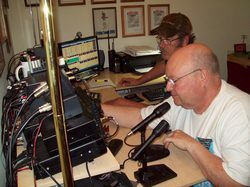 Organizers of the 2011 championships are members of the Albuquerque Amateur Radio Club and the New Mexico Orienteers, led by Jerry Boyd, WB8WFK, and Mike Pendley, K5ATM. Registration is now open -- Moell said that it is important for competitors to register early. The organizers need an accurate head count and assurances that there will be sufficient attendees. Read more here. The ARRL would like to encourage more participation in its several VHF/UHF contests held each year. Many of the HF transceivers sold in recent years include 50 MHz, and some also include the 144 and 432 MHz bands with multi-mode capabilities. The question at hand is how can we encourage more owners of such radios to utilize these bands and modes to participate in VHF/UHF contests? The ARRL VHF/UHF Advisory Committee (VUAC) has been asked to consider this question, and to make recommendations to encourage, explore and expand the ARRL VHF and UHF contests and other operating activities by using the multi-band and multi-mode capabilities of modern transceivers and related equipment. The VUAC would like to ask the Amateur Radio community to provide their comments and ideas for consideration. Please send any comments or ideas you have on this matter to your ARRL VUAC Division representative no later than July 1, 2011. A listing of each Division's VUAC representative can be found at http://www.arrl.org/arrl-staff-vuac-cac. On June 2, the FCC issued a Citation to Gary L. Stanford -- doing business as Spark Gap CB Shop in Lincoln, Illinois -- for "marketing in the United States unauthorized radio frequency devices and external radio frequency power amplifiers." This is in violation of section 302(b) of the Communications Act, and Sections 2.803(a)(1) (marketing of radio frequency devices prior to equipment authorization) and 2.815(b) (external radio frequency power amplifiers) of the Commission's rules. On November 1, 2010, an agent from the FCC's Enforcement Bureau office in Chicago visited the Spark Gap CB shop in Lincoln. According to the Citation, the agent asked the clerk if the store had any amplifiers for sale. The clerk showed the agent a display case with external radio frequency power amplifiers for sale from several different manufacturers. The clerk also suggested that the agent consider purchasing a 10 meter Amateur Radio that is modified to operate on frequencies in the 11 meter Citizen's Band. The clerk also showed the agent a 10 meter Amateur Radio that was on display and operating on a Citizen's Band frequency. Read more here. After two US Attorneys filed a Complaint in US District Court in October 2010 against Glenn Baxter, K1MAN, for not responding appropriately to an order that he pay a $21,000 fine for violating several sections of Part 97, Baxter filed many pro se motions. On May 23, the US District Court in Maine released an Order, dismissing one of Baxter's motions, an amended counterclaim, on multiple grounds. The Court dismissed Baxter's claim for the following reasons: That the counterclaim plaintiff [Baxter] does not have standing to file a civil action against the government for its decision not to initiate a prosecution; that this Court does not have subject matter jurisdiction to review a Federal Communications Commission licensing decision, and that the Federal Tort Claims Act does not authorize a civil suit based on a governmental agency's alleged failure to perform its statutory duty. 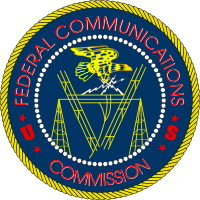 The fine had been levied, according to the Complaint, "for defendant's willful and repeated violations of Sections 97.101(d) [commencing transmissions on top of existing communications on 3.890 MHz] and 97.113(a)(3) [transmitting communications in which the station licensee or control operator has a pecuniary interest] of the Commission's Rules, and for the defendant's willful violation of Section 97.105(a) [exercising control over station] and 97.113(b) [broadcasting] of the Rules, and for failure to file requested information pursuant to an Enforcement Bureau directive" [information in brackets added]. The Complaint sought to force payment of the $21,000 fine along with a filing fee and "such other and further relief as the Court deems just and proper." Phil Steffora, K6TT, of Los Altos, California, was appointed as Santa Clara Valley Section Manager on May 25. ARRL Membership and Volunteer Programs Manager Dave Patton, NN1N, made the appointment in consultation with Pacific Division Director Bob Vallio, W6RGG. Steffora's appointment extends through June 30, 2012. First licensed in 1998 as KF6PEQ, Steffora upgraded to General in 2006 and then Amateur Extra in 2008. He has served as a Santa Clara Valley Assistant Section Manager since January 2009, and was Vice President of the Northern California DX Club (NCDXC) from 2009-2011. Steffora holds Worked All States, DXCC and other DX and contest achievements. The Section's top ARRL Field Organization position has been open since Bill Dale's, N2RHV, term of office concluded on June 30, 2010. Dale served as Section Manager of Santa Clara Valley for two terms. 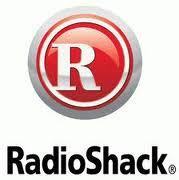 Back in the day, RadioShack was the first place many of us looked for parts. QST construction projects routinely referenced RS part numbers, and the Shack even sold 10 and 2 meter transceivers. What goes around comes around, and RadioShack is now looking for input from us, as members of the larger DIY community, on parts we'd like to see them carry. There's a video explaining what they're looking for, and a place to add comments. The Sun, as seen on Thursday, June 2, 2011 from NASA's SOHO Extreme Ultraviolet Imaging Telescope. This MDI (Michelson Doppler Imager) image was taken in the continuum near the Ni I 6768 Angstrom line. The most prominent features are the sunspots. This is very much how the Sun looks in the visible range of the spectrum. Tad "Sweet dreams 'til sunbeams find you" Cook, K7RA, reports: Last week, we reported that it has been a long time since sunspot numbers passed the 100 mark, but this week, that's exactly where the sunspot numbers have been: On Tuesday, May 31, the daily sunspot number reached a high of 132. 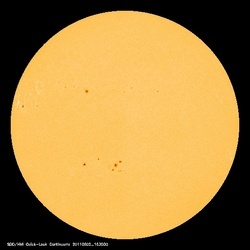 The average daily sunspot numbers increased more than 55 points to 89.9, while the average solar flux rose nearly 20 points to 103.1. The latest forecast shows solar flux at 115 on June 2-3, 110 on June 4-8, 105 on June 9-10, 100 on June 11-14, rising to 105 on June 15, and 110 on June 16-26. The planetary A index is predicted to be 10, 8, 10 and 8 on June 2-5, 5 on June 6-8. The next period of high geomagnetic activity is projected for June 22-27, at 12, 22, 18, 18, 15 and 8. Geophysical Institute Prague sees unsettled to active conditions June 3-4, unsettled June 5, quiet conditions June 6-7 and quiet to unsettled June 8-9. Look for more information -- including a look at the three month moving average for daily sunspot numbers, plus have a peek ahead to Field Day conditions -- on the ARRL website on Friday, June 3. For more information concerning radio propagation, visit the ARRL Technical Information Service Propagation page. This week's "Tad Cookism" is brought to you by Dream a Little Dream of Me, as sung by Mama Cass Elliot from The Mamas and The Papas. The winner of the QST Cover Plaque Award for May is Jim Talens, N3JT , for his article "An Emergency Backup Solar Power System. " Congratulations Jim! The QST Cover Plaque award -- given to the author or authors of the best article in each issue -- is determined by a vote of ARRL members on the QST Cover Plaque Poll Web page . Cast a ballot for your favorite article in the June issue today. Have you ever wanted to see a photo of yours in QST, the annual ARRL Amateur Radio Calendar or another ARRL publication? Well, here's your chance! If you're among the winners, not only will your photographic skill be propagated far and wide, but we're offering $100 as the First Prize. The winning photo and three runners-up will be published in QST. All submitted photos will also be considered for the 2012 ARRL Calendar. Mike Likavec, WA8NNX, of Chester, Virginia, submitted this photo in the 2010 ARRL Photo Contest. Requirements: Digital images or color prints accepted. A digital image printed on photo paper, however, doesn't work as well as a high-resolution file attachment. Digital images should be high resolution. A digital image up to 8 MB in size can be e-mailed to upfront@arrl.org, subject line "2011 Photo Contest." An image may also be burned to a CD and mailed to ARRL Photo Contest, 225 Main St, Newington, CT 06111. All entries must include caption information describing where the photo was taken, along with a description of the subject of the photo, as well as the names and call signs of any persons shown. If you entered last year's contest, please do not resend the same photo for this year's contest. One entry per person.